White tigers are not a naturally occurring tiger species but are a product of a controversial forced inbreeding process. The white coloration on white tigers is achieved by the methodical inbreeding of tigers for several generations. 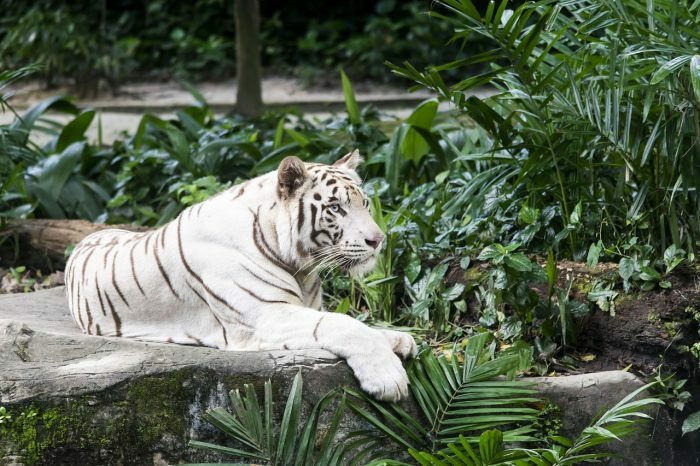 To produce a white tiger, breeders force males to mate with either its sister or daughter to create a certain mutation in the genes of their offspring that gives the tiger its white coloration. However, this same mutation also causes several physical problems and deformities in the tigers, such as clubbed feet, vision problems, defective organs, spinal deformities and cleft palates. In 2011, the American Zoological Association formalized its 2008 ban on such breeding practices among its member zoos.